The BWC 2011 Briefing Book has been prepared by Caitriona McLeish of the Harvard Sussex Program and Richard Guthrie of CBW Events. Financial support for the 2011 Briefing Book has been provided by the United Kingdom Foreign & Commonwealth Office. 2011 BWC Briefing Book by document which includes links to the individual documents. Where readily available, copies of documents are also provided in other languages. 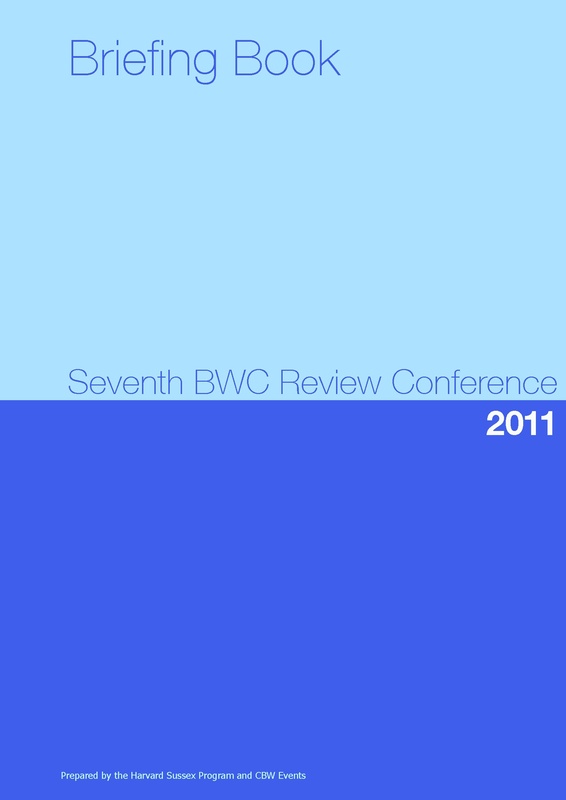 This disk also includes a selection of additional documents that may be relevant to participants in the Seventh BWC Review Conference. These include daily reports from earlier BWC meetings and briefing notes regarding the science and technology review aspects of the Review Conference.